Former Wonder Girls member Lim revealed she's become a reporter for her college's English newspaper. 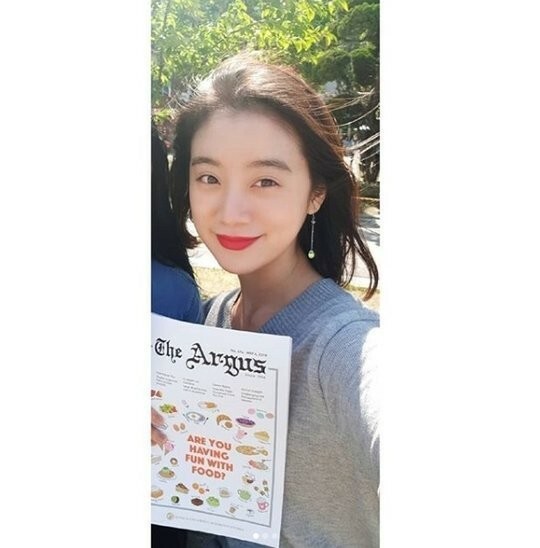 On May 4, Lim posted the below photo to Instagram along with the message, "I've become the 101st group of reporters for my school's English newspaper 'The Argus'. I want to know more detailed, deep knowledge about the school, and I decided to support it because I wanted to let the other students know about school news." She continued, "More than anything, I'm looking forward to the fact that I get to learn from people who love to write. Don't be surprised to see me covering the school in the future. Let's find out school news quickly by reading 'The Argus' and study English!" Lim is currently majoring in�English Interpretation and Translation at the Hankuk University of Foreign Studies. Congrats to Lim on the position!